Moisture Control—Do I need it? — T.W. 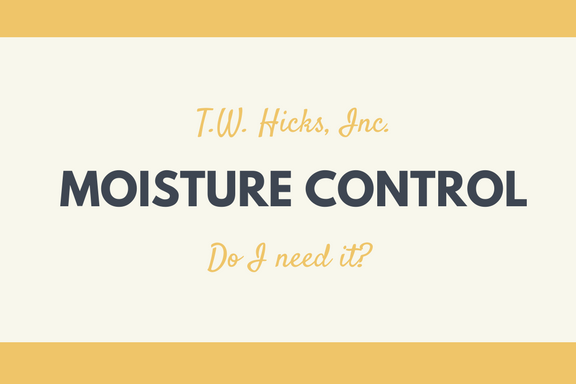 Hicks Inc.
Moisture Control—Do I need it? No matter what service or flooring you use from T.W. Hicks, Inc.—you will be happy because we have 20 years of amazing service under our belts! We are here to service your unique situation and understand both your wants and needs. By best understanding our customers, we are able to provide the best flooring solution for you! No matter what flooring fits both your wants and needs—we want to highlight an important service for flooring that we offer for industrial and commercial flooring! Today, we are going to be highlighting moisture control—a wonderfully important service that T.W. Hicks, Inc. offers! Moisture control seems like a smart service to choose—no one wants moisture to seep into their beautiful flooring from T.W. Hicks, Inc.! 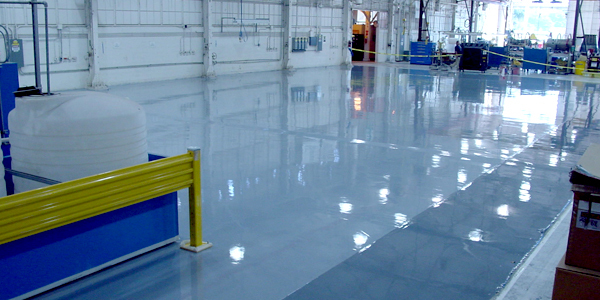 Besides that, there are other reasons to add moisture control to your industrial flooring. Controlling for moisture can actually turn your space, no matter what it is, into being more energy-efficient, it will cost you less to both heat and cool, prevents mold, and most people who have moisture control believe their flooring is more comfortable. Since we are a flooring company based in Texas, we understand the importance of creating flooring that works in the most humid of days, and those that are bitterly cold. It is important that we understand not only your situation for flooring, but that we are in Texas and that moisture control is something you will want to consider! Moisture control is a chemical barrier that we place on top of industrial and commercial flooring to prevent damage, and further stop moisture from seeping in. By adding moisture control to your flooring, it’s like adding an extra layer of protection against expensive, and possibly preventable, damage by blocking moisture before it even has the chance to get in. It’s like adding a case or protective screen on your brand new phone—you want to protect the things that are most important to you, and at T.W. Hicks, Inc. we want to help you protect your beautiful floor! If moisture control is something that you are considering adding to your flooring project, there are definite and important benefits. With T.W. Hicks, Inc. moisture control addition, it can help prevent damage, and save money in the long-run! Please contact us with any questions about this service (or any other flooring needs! )—we are always here to help! Building from the FLOOR Up with T.W. Hicks, Inc.!